More than six in ten (62%) UK households pay for TV, spending an average of £33 per month, according to new research from price comparison service uSwitch.com. However, almost a third (30%) claim it isn’t good value for money. According to the research reveals, TV users find that a large proportion of the channels they pay for are completely redundant as more than one in four people (27%) only watch 10% of the channels available to them. 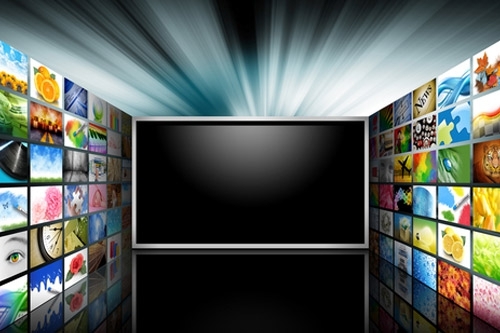 On average, households view just a quarter (25%) of the channels they pay for. One in four (27%) TV fans fork out extra on top of their existing pay TV package for programmes such as films on demand, and one-off sporting events — adding an extra £13 to their monthly TV bills each time they do so. This means, collectively, consumers are shelling out a staggering £275 million per year extraon add ons and upgrades to their existing packages to watch more exclusive TV content. Meanwhile, more than one in 10 (12%) have thrown money down the drain by forgetting to cancel upgrades to their TV package that they no longer want or use. Sheer absentmindedness could be costing consumers as much as £7.1 million per month. As TV fans head into winter and the nights close in, one in seven (14%) will find the cost goes up as they increase their spend on add ons or upgrade their package for the winter months by an average of £11 per month, equating to a combined £78 million on entertainment for long nights in. Families are most likely to pay for TV, with almost three quarters (74%) splashing out on a package costing an average of £34 a month. This is followed by those who live with their partners and shared households with flat or housemates — 59% of both these household types pay for TV. Those who live alone are the least likely to pay for TV, with only 46% doing so. Of those who don’t pay for TV, almost four in ten (38%) say it’s simply not good value for money, while more than a quarter (27%) cannot afford it. Almost a fifth (19%) of those who choose not to pay for a TV package once had a subscription, but cancelled because they either didn’t get enough use out of it or because the cost was too high.